Last week we had some visitors in Concord. A team from TheDaily.com came out to do a 4th of July shoot - my first video shoot. The video posts tomorrow (Thursday) morning - I'll share a link as soon as it is up! UPDATE : here is the link to the video! The table was set with flags and berries in baskets... I set the scene and they brought their equipment to film. Here are all of my props before we set the table. Everything was shot step-by-step. ...anything for some free photog lessons, right? It was great just to watch him and take notes. The blueberries are ready... almost a little too ready as they were baking in the hot sun we had last week. 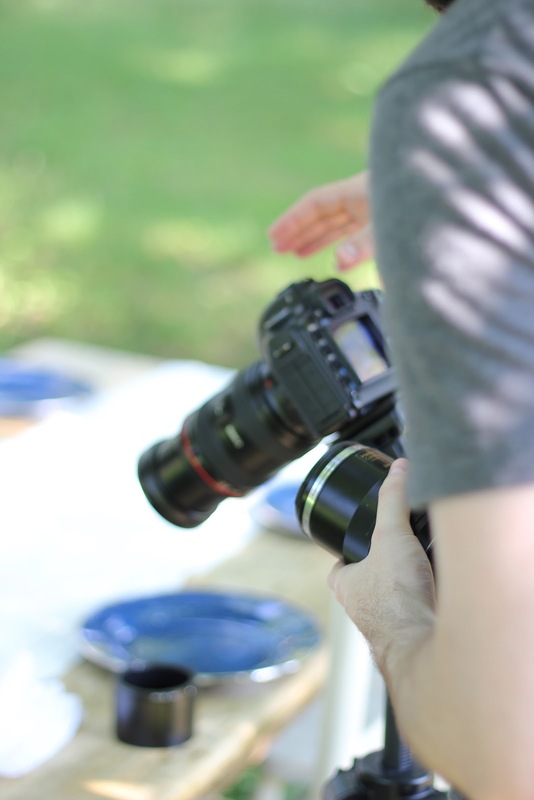 In my kitchen, they filmed me making a Red White & Blue 4th of July Ice Cream Cake... it looked a lot different in there than it does when it is just me and my camera on a little tripod. Now I know why the Barefoot Contessa built a barn! Emma's first shoot- she's a natural. 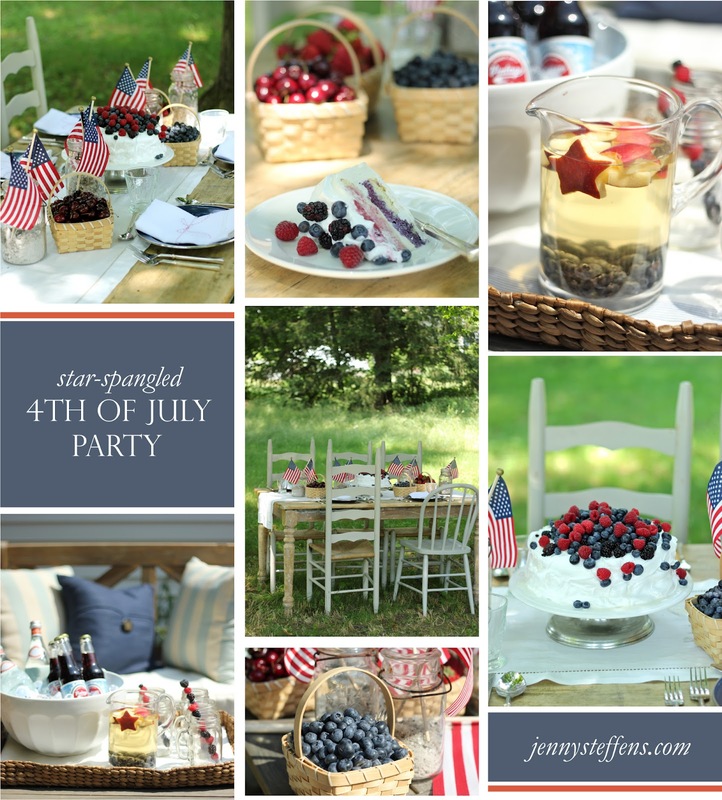 Visit here to see the beautiful video they created and all of the details from the Star-Spangled 4th of July Party. This is sooooo exciting Jenny! Can't wait to see the movie! How exciting! It looks gorgeous! Exciting and wonderful and what fun. Please do a post on the photo tips sometime. I love it..! I have enjoyed looking at these photos.. Good ideas for backdrops.